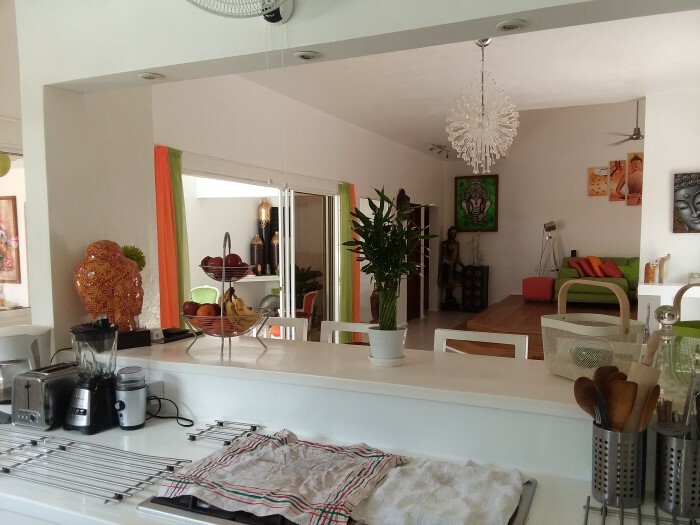 1 kitchen, 1 living area, 4 bedrooms, 2½ bath in the main building plus second building with 2 bedroom + 1 bath and 1 kitchen. 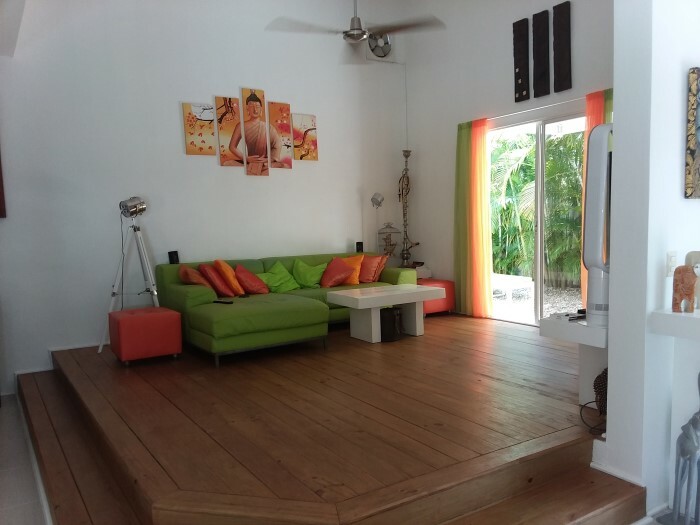 This beautiful villa for sale in Dominican Republic is situated in a quiet community just few minutes to the center of Cabarete and all the amenities as supermarket, restaurants, bars, shops, banks, schools and the beautiful Cabarete's beaches with bars and restaurants along the beach. 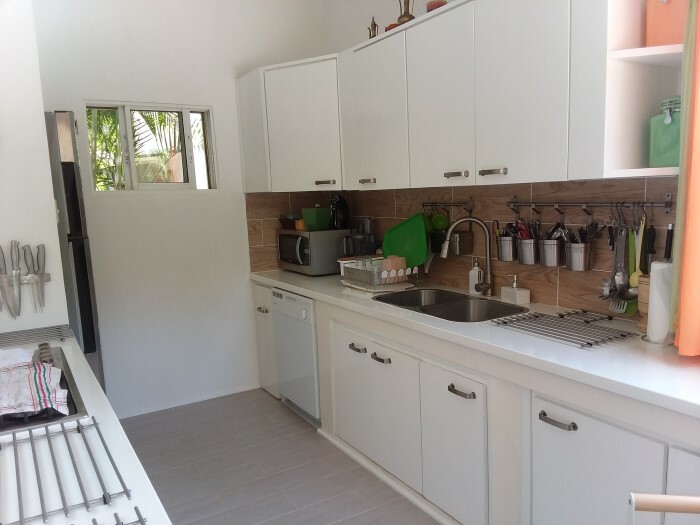 The property is done with a main villa and two additional building, one of that has 2 bedrooms one bathroom and a kitchen and in the back the laundry area, and the other one is the covered parking area where on the top the owners did a great large covered terrace used as hobby room. 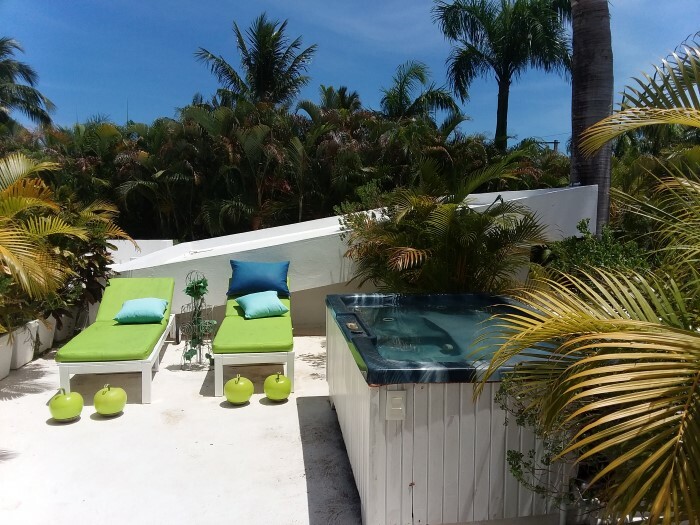 Close to the hobbies room there is another part of terrace used as a solarium with a Jacuzzi. 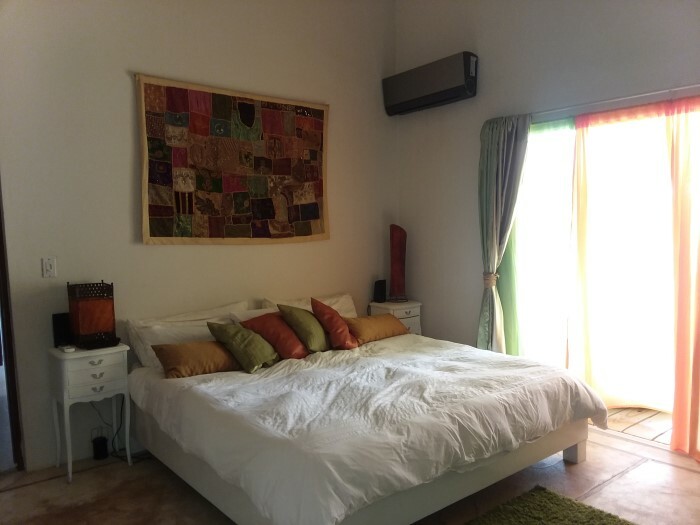 You can use this property as a private home or renting out the bedrooms you don’t use as in this area is very popular between tourist this kind of accommodation. 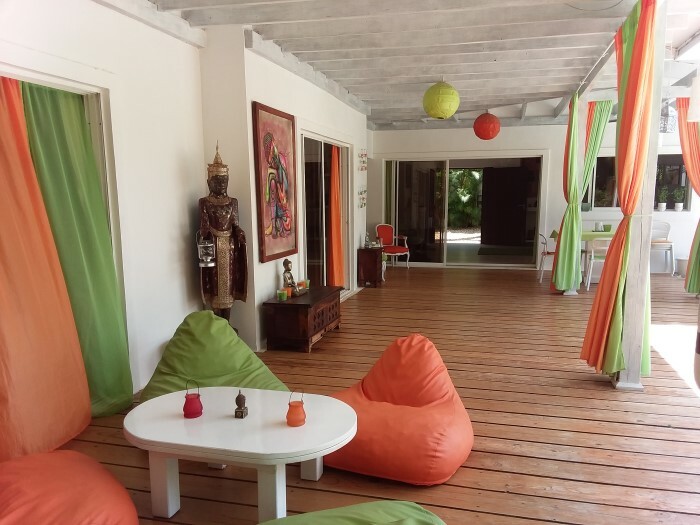 Entering in the main house on the right side there is a the living area and on the left side there is the kitchen overlooking the covered terrace with lot of space to get all your meals there and a relaxing area. In the main house there are 4 bedrooms. 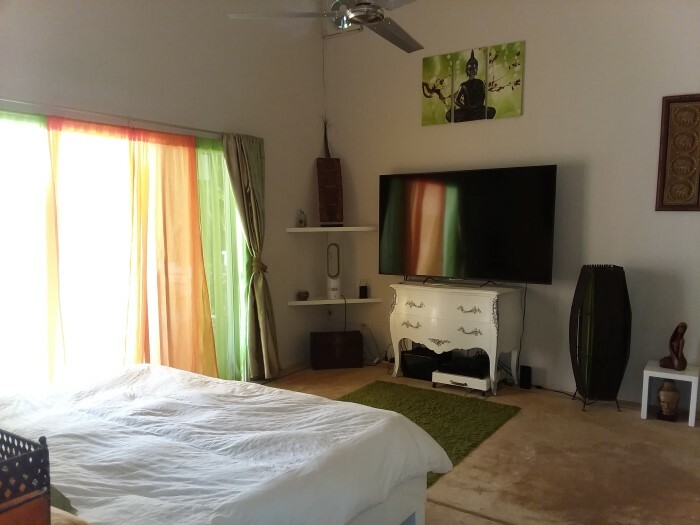 The master bedroom is looking on the garden and pool area as a second bedroom now used as TV room. The others two bedrooms are on the opposite side, one is used as bedroom and the 4th one is used as an office room. The pool area and a garden are lot of spaces to get relaxing and there is even a Sauna. 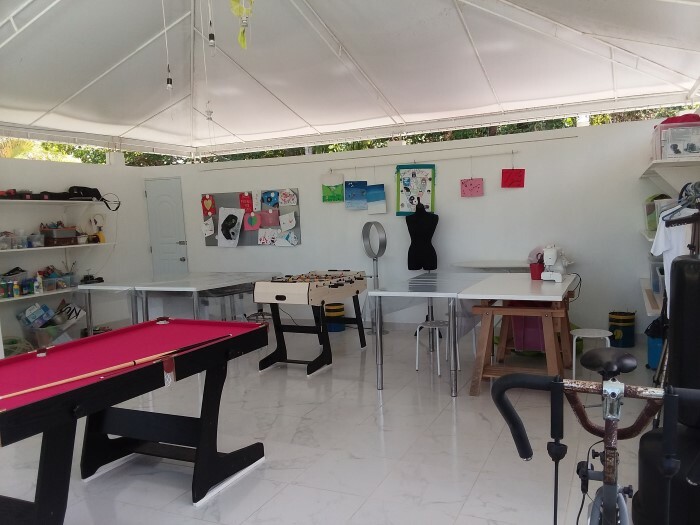 The property has solar panels working for the entire property. Owners agreed to sell with private financing with 50% down payment and 5 years to pay at 5% interest, but any others kind of payment will be presented to them. 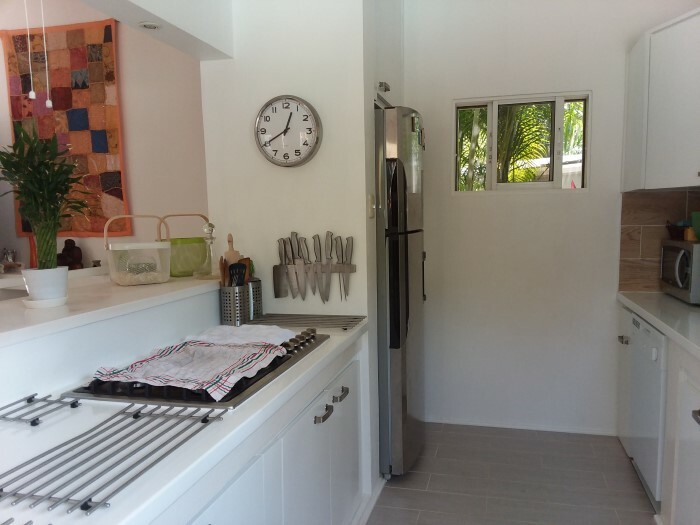 The house was built in 2009, but the actual owners has renovated all the property during the 2016. 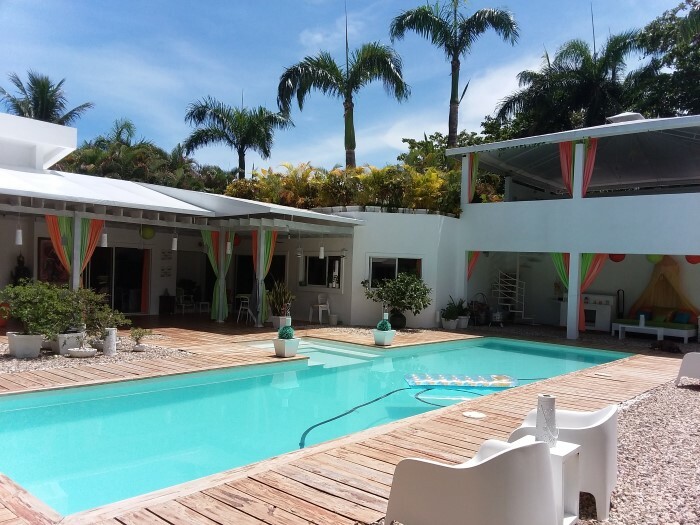 Cabarete, is considered the capital of water sports in the North Coast, where you can get: surf, kite board, windsurf, snorkel/scuba dive, or just sit and enjoy the beach alongside restaurants which at night many of them turn into clubs. The International Airport of Puerto Plata with direct flight from Europe and USA is about fifteen minutes in the opposite direction. Driving 10 minutes you will arrive to Sosua and to Sosua beach with its crystal clear and calm water and a colorful variety of small shops, bars and restaurants along the beach. 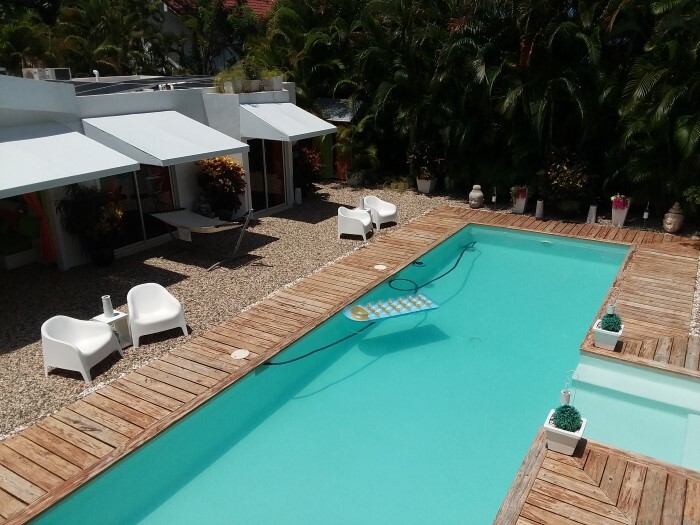 In Sosua you can find all you need as international school, supermarkets and hospitals. 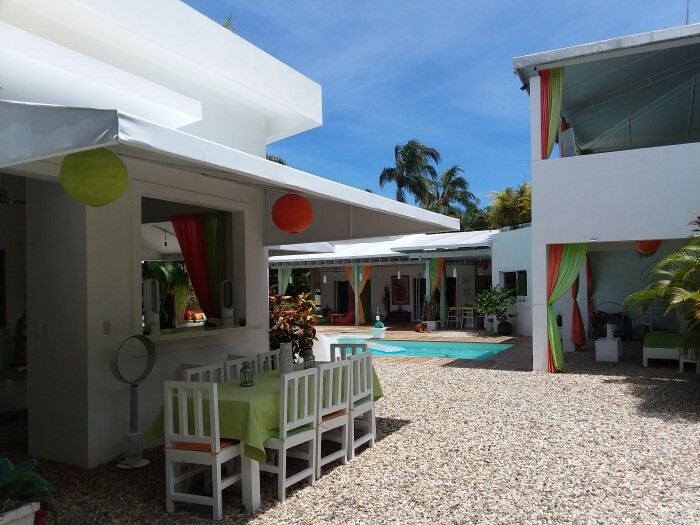 For further information about this property or real estate in Dominican Republic please complete the message box and a team member from Coldwell Banker Amber Coast real estate will contact you straight away.